RMI Industrial Services is a Robotic Systems Integrator, and design, build and install to specific customer requirements. Robots come in all sizes and shapes and are used for almost any labor-saving function imaginable. RMI has realized that almost every Robot exists in a custom environment—especially designed for a specific function. 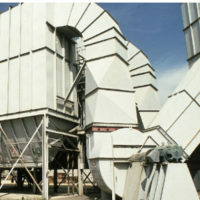 Most of the time, standard robots from the factory require elevation in order to reach conveyors and other equipment. This requires the construction of a Robot Pedestal which will firmly support the robot and ensure its complete immobility while performing its duties. Most robot suppliers do not offer a Robot Pedestal as an off-the-shelf item. Due to the nature of the custom environment and application, no standard Robot Pedestal design will work every time. In fact, a custom height Robot Pedestal will be required 99% of the time! Any robot brand or manufacturer will feature (in its installation documentation) standard designs and drawings of how it expects its equipment to be supported. RMI can design, manufacture, and ship your standardized, solid-as-a-rock Robot Pedestal in less than ten days. 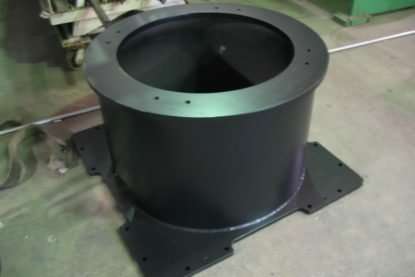 Once we have your information, we can fabricate a solid Robot Pedestal that will support over 250,000 lbs.# (static load) and will handle dynamic loads well in excess of 10,000 lbs. #. This is more than enough for today’s palletizing robots, press-tending robots, or any other robot on the market today. 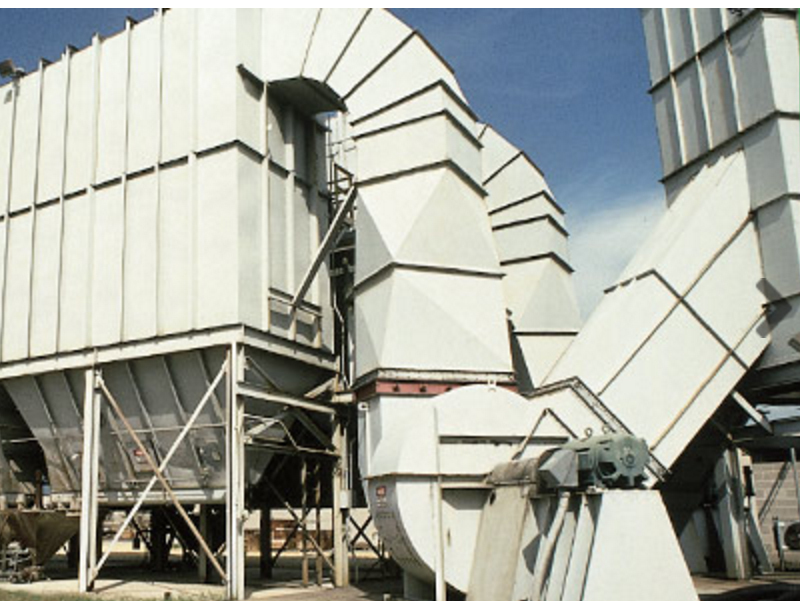 RMI Industrial Services provides this solution. Simply e-mail us your information and the design of your Robot Pedestal (or let us help you over the phone) and we can start work today. 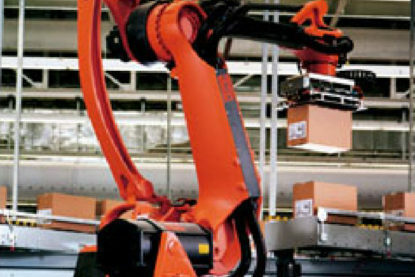 The Robot Pedestal shown in the photos is for a KUKA® brand palletizing robot. 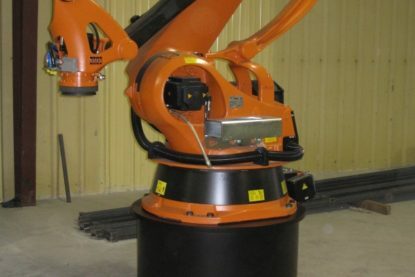 But whether or not you need a Robot Pedestal for a Fanuc, Motoman, or any other brand — RMI Industrial Services can provide you with what you need in a short turnaround, at a fair price.